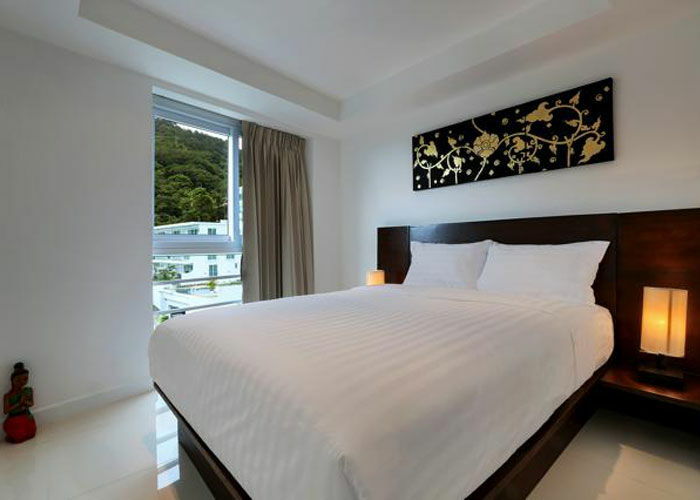 An excellent room choice for singles or couples looking for the perfect base to explore Phuket. 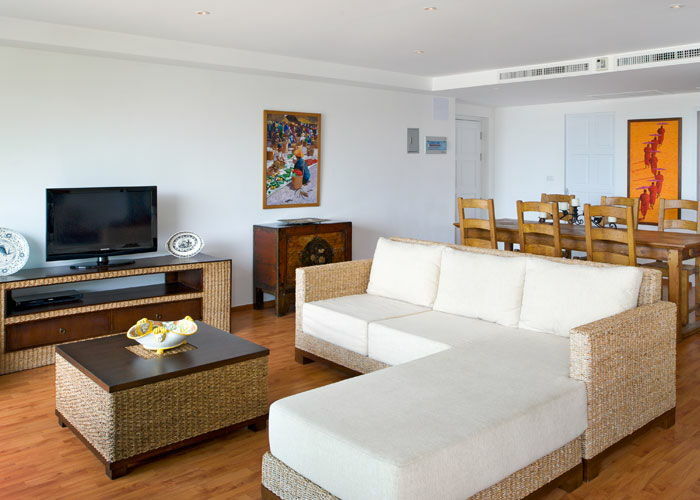 Each apartment is between 40-60sqm classically decorated with a double bed and comes with its own fully fitted kitchen, spacious living area, flatscreen TV with cable and a private balcony with views of the luscious tropical gardens and the Big Buddha. 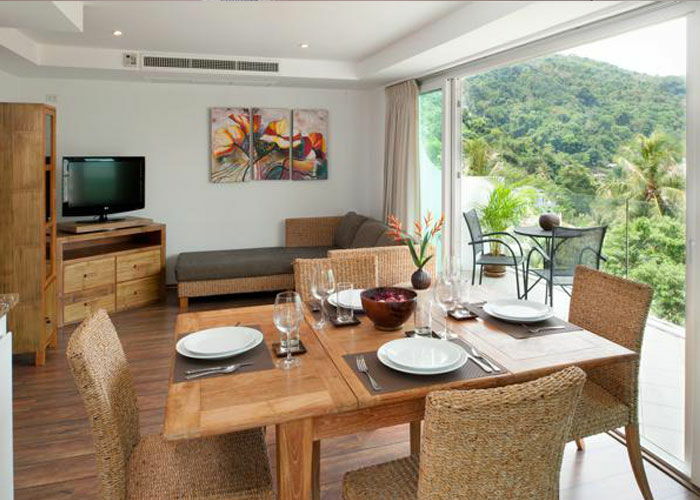 Room Prices: Prices shown are per day in Thai Baht Value. 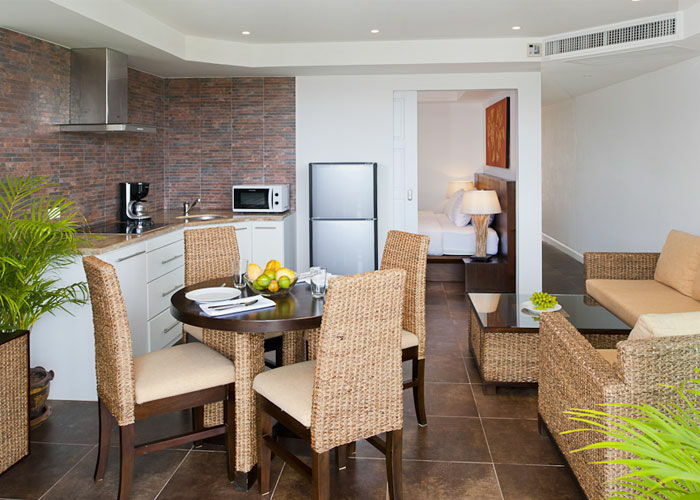 For those who want extra room 45-60 sqm and a stunning view of the ocean, the 1 Bedroom Suite is the perfect option. 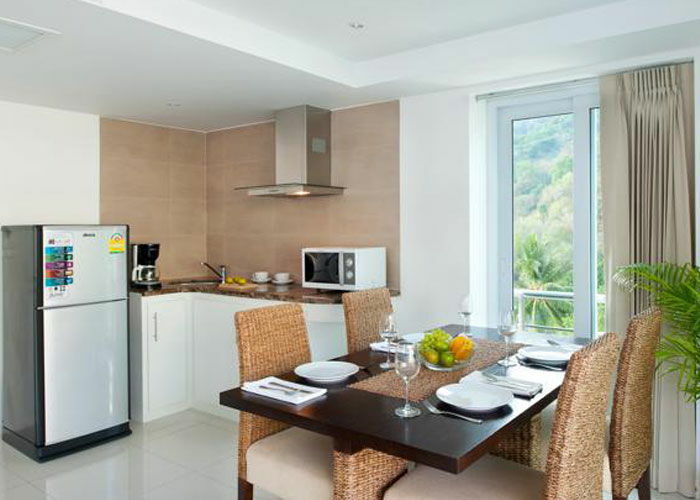 Elegantly furnished with a double bed and fully fitted kitchen; the large private balconies are what make these apartments special. 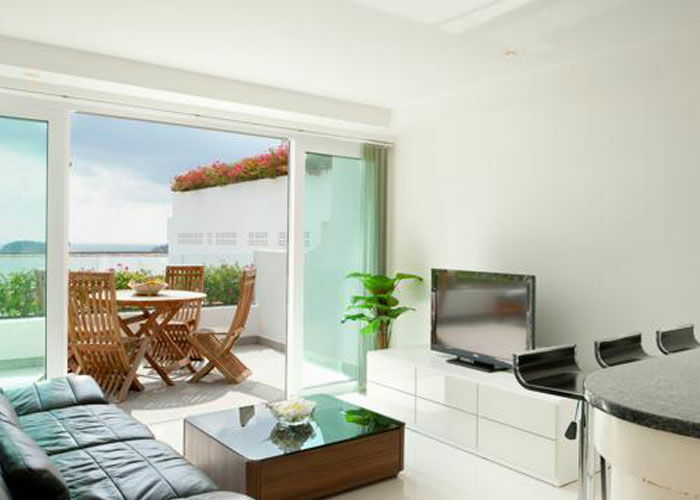 All apartments have a flatscreen TV with cable in addition to Wifi. 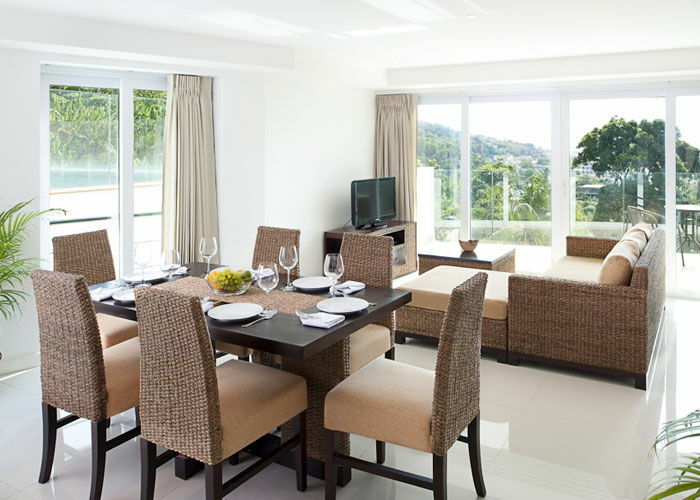 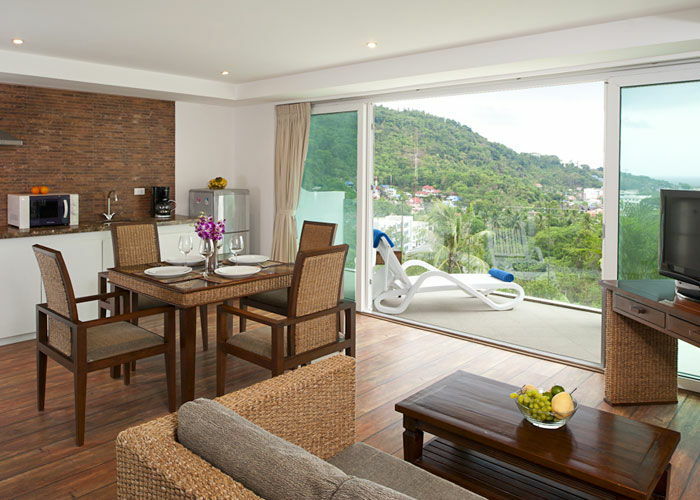 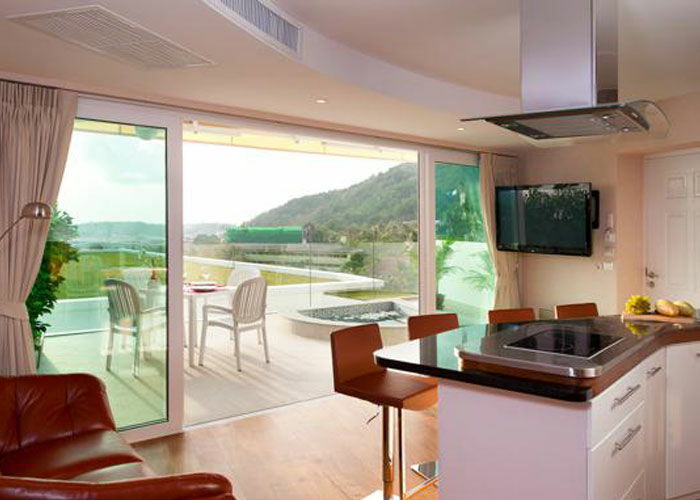 The most popular apartment type for families visiting Phuket. 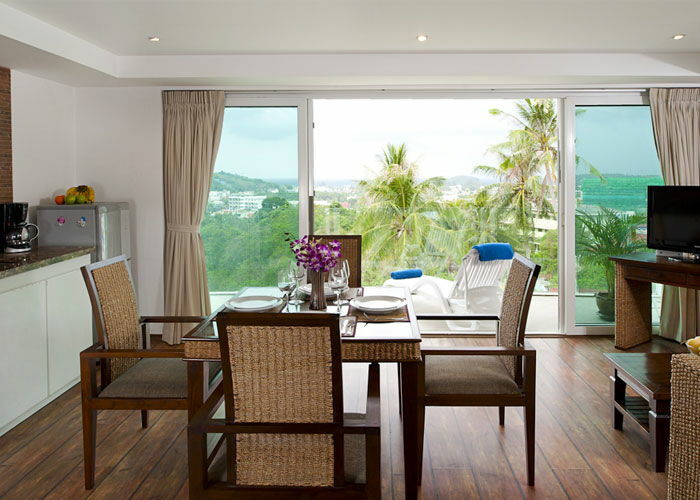 Furnished to a very high standard and with a fully equipped kitchen, these apartments are between 70 and 90 sqm with two double bedrooms and a large private balcony with beautiful views of the Andaman Sea. 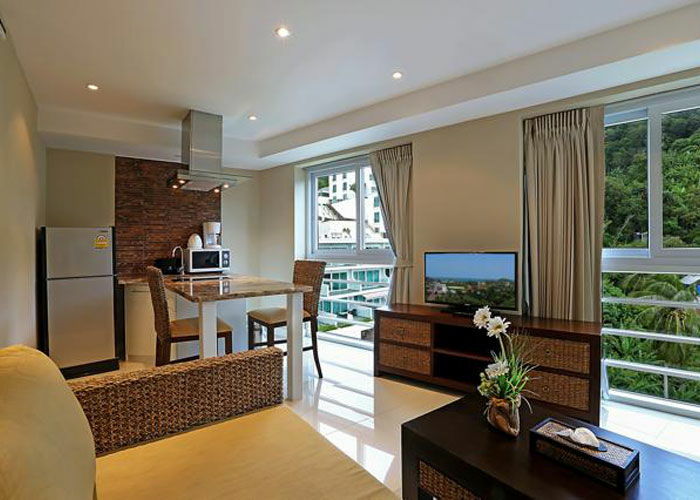 With all apartments at Kata Ocean View Residences, each unit is fully serviced with all the comforts of home including flatscreen TV and WiFi access. 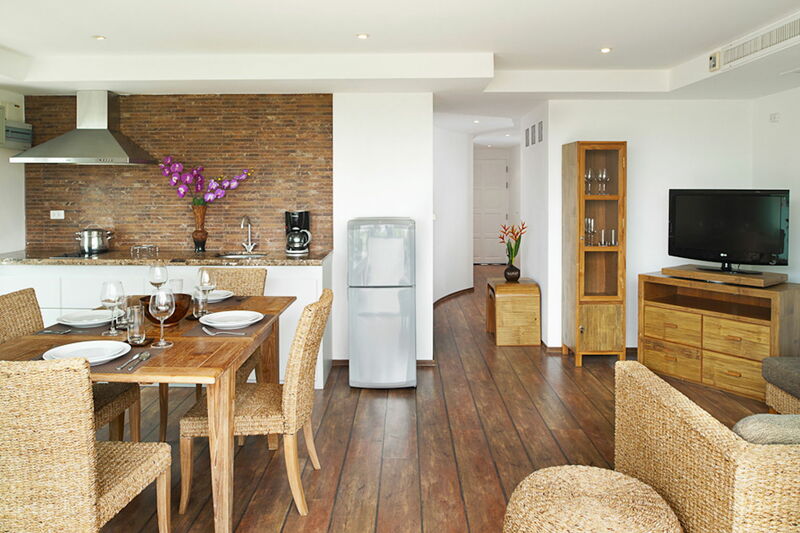 Between 90-120 sqm the 2 Bedroom Suite are large enough to comfortably accommodate up to 5 adults and are very popular for friends, couples and families with older children. 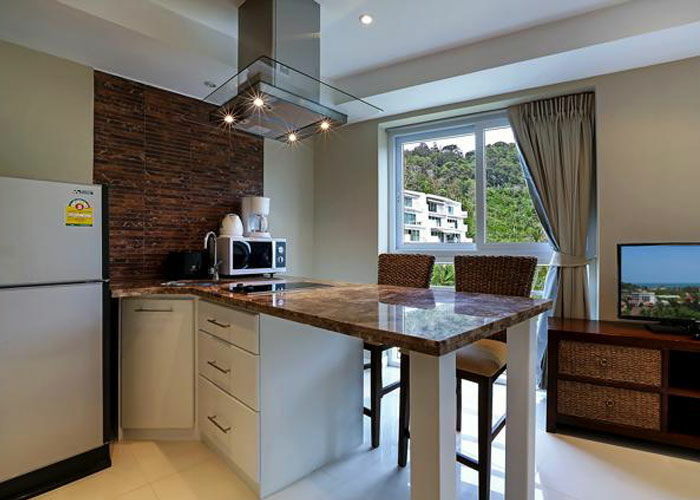 Each apartment has a fully fitted kitchen with dining area and a large living space tastefully furnished with classical décor with two double bedrooms. 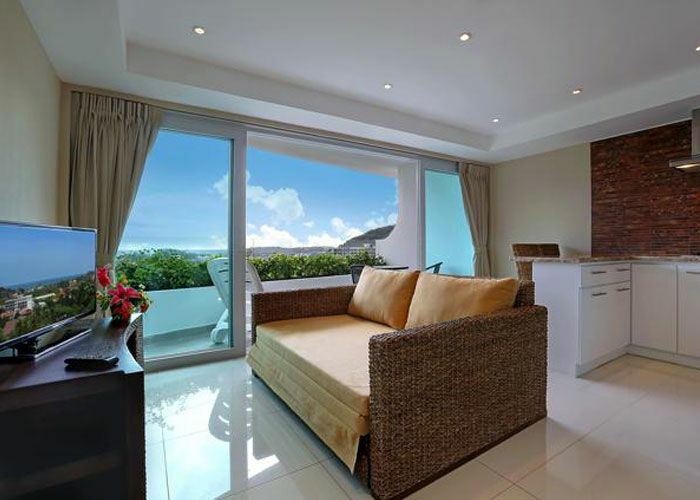 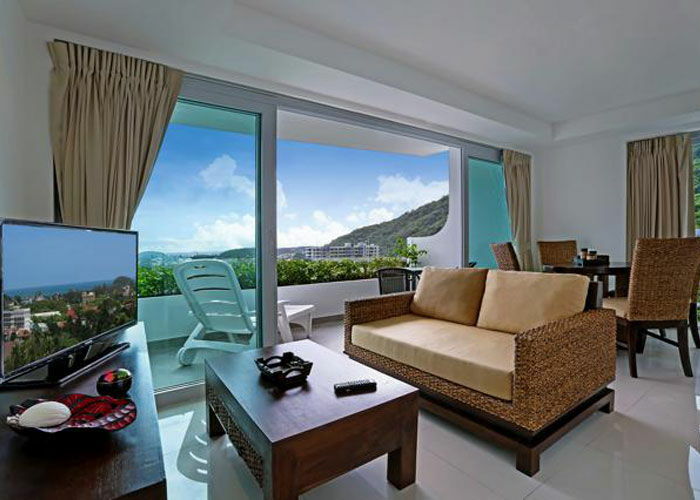 Indulge yourself and truly take in the sunset on your private balcony overlooking Kata bay.